Iris Nampeyo was a daughter of Fannie Nampeyo and well known for her elegant asymmetrical vessels with corn as part of the design in relief. Iris began using the corn in relief on the surface of her pottery in the early 1980’s. The corn is symbolic of being part of the Corn Clan. The surface of the jar is stone polished and the corn on the front is in applique relief. 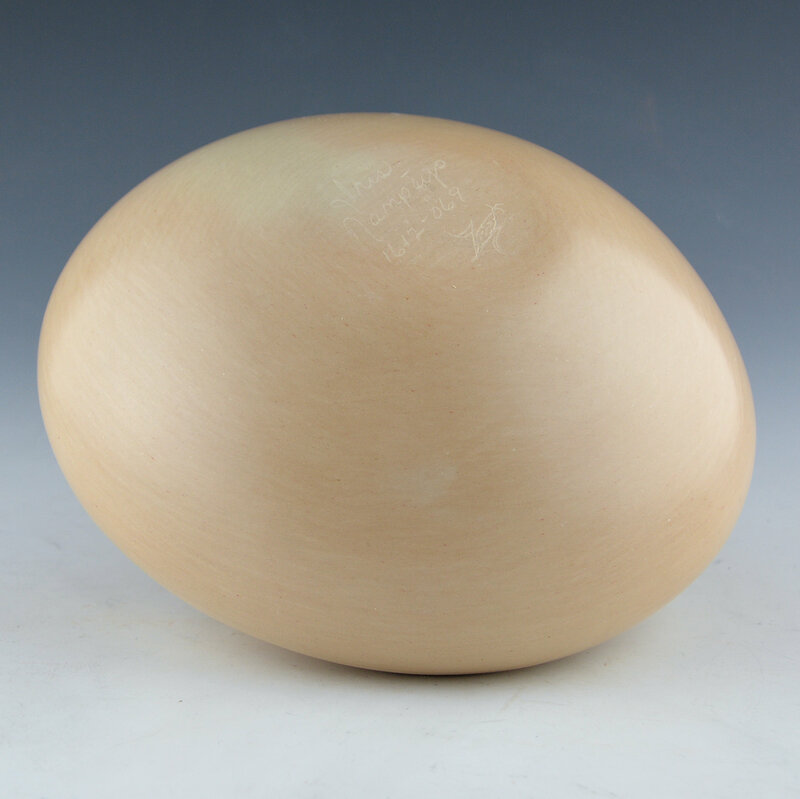 The shape of this jar is striking with the wide shoulder and the short, asymmetric neck. The husk of the corn is sharp and the matte area extends around to the shoulder of the jar. The matte areas are in contrast to the remainder of the piece which is polished. 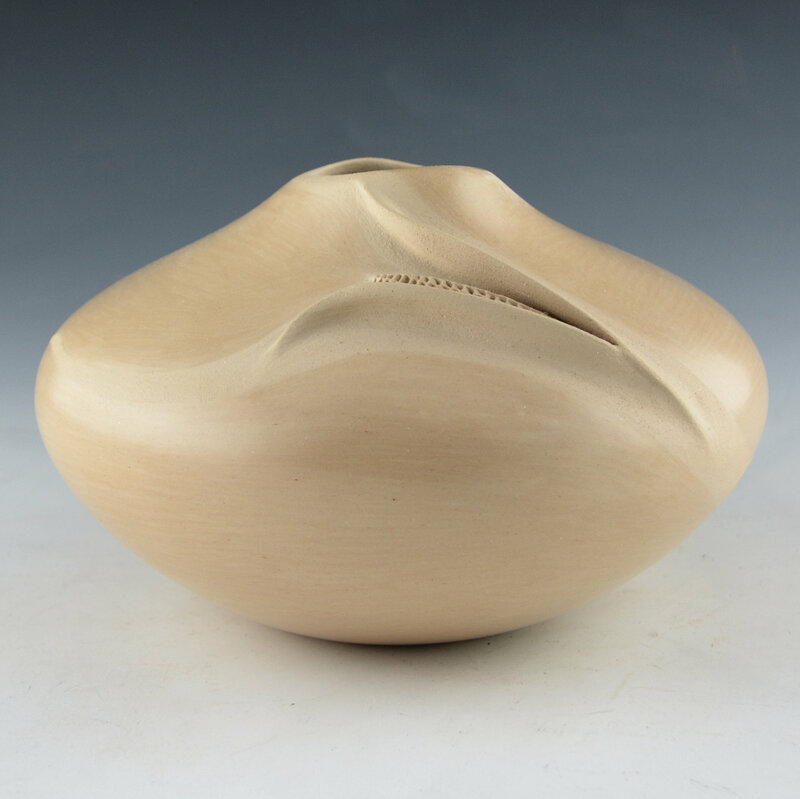 The opening is asymmetrical which is in keeping with the organic style of the form. 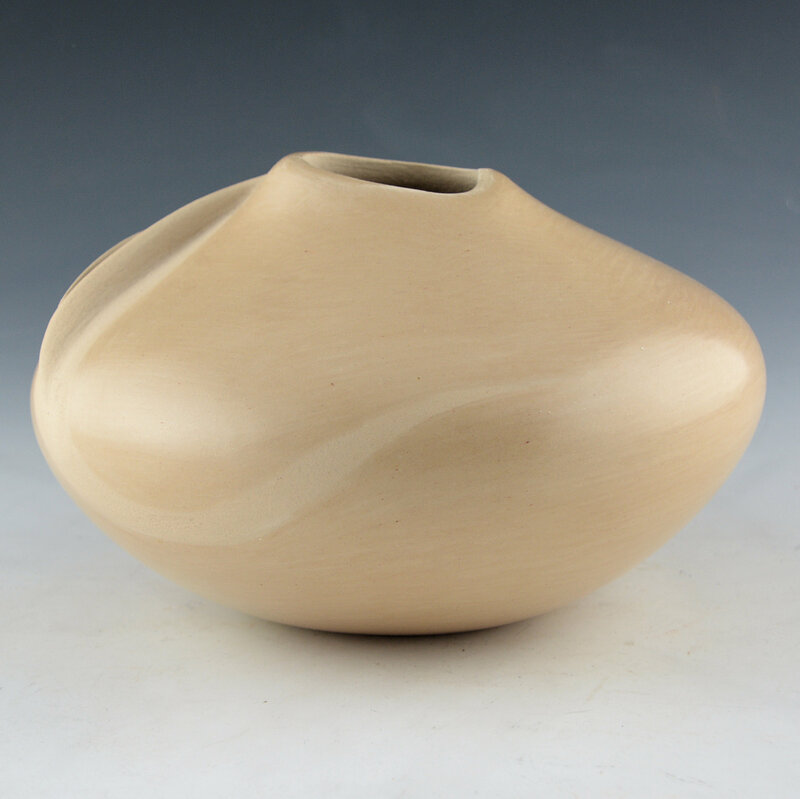 There is a simplicity and elegance in her pottery. Sadly, Iris passed away in September 2018, but her pottery remains a classic. This piece is signed on the bottom in the clay and it is in excellent condition with no chips, cracks, restoration or repair.